Dolly worked for Fairalee and Percy Poston. 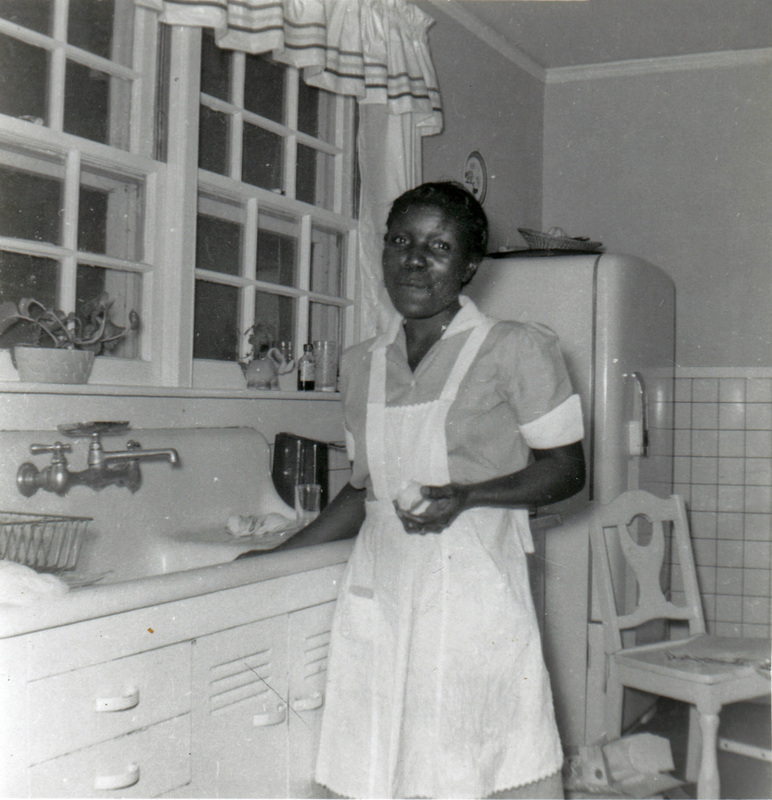 She married Willie Woodberry and they had daughters named Betty Jo Wilson and Louise Wilson - both worked at Wellman. Willie and Sarah lived in one of the first homes in Hickory Hill. For a time she lived in a garage apartment at the Poston house on Railroad Avenue. This photo was taken in the Poston kitchen. 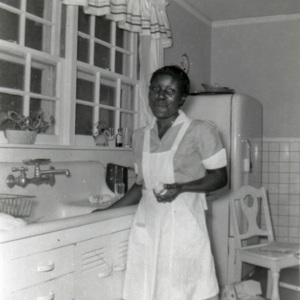 “Sarah "Dolly" Woodberry,” Johnsonville SC History, accessed April 19, 2019, https://www.johnsonvilleschistory.org/items/show/493.